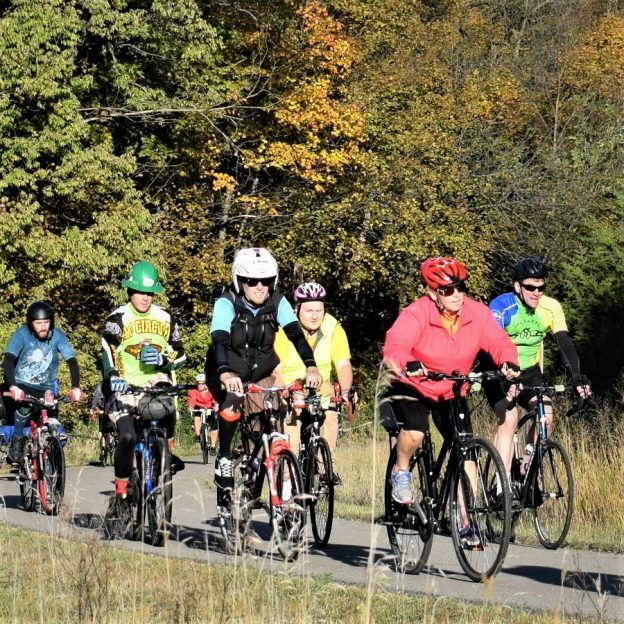 As the summer bike season rolls into the October here are just a few of the fun weekend events to mark on your calendar and this weekend. 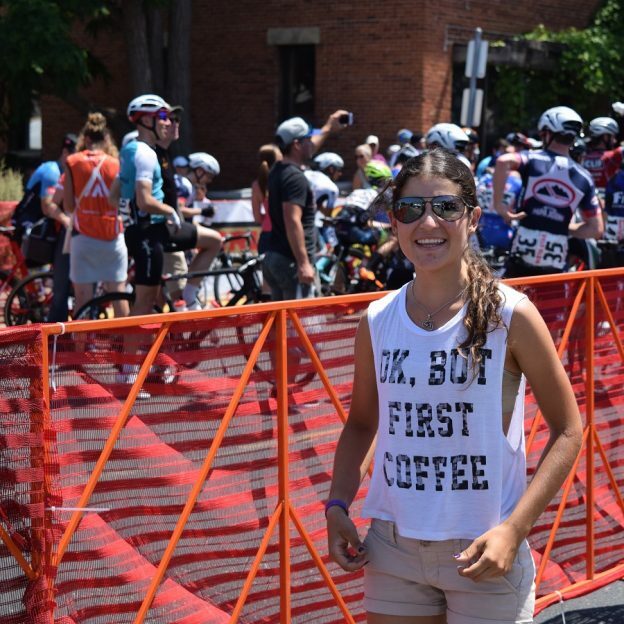 Here in this photo a Peace Coffee advocate is getting ready for this year’s Wild Ride Mountain Bike Festival, CANCELED, in Lebanon Park. 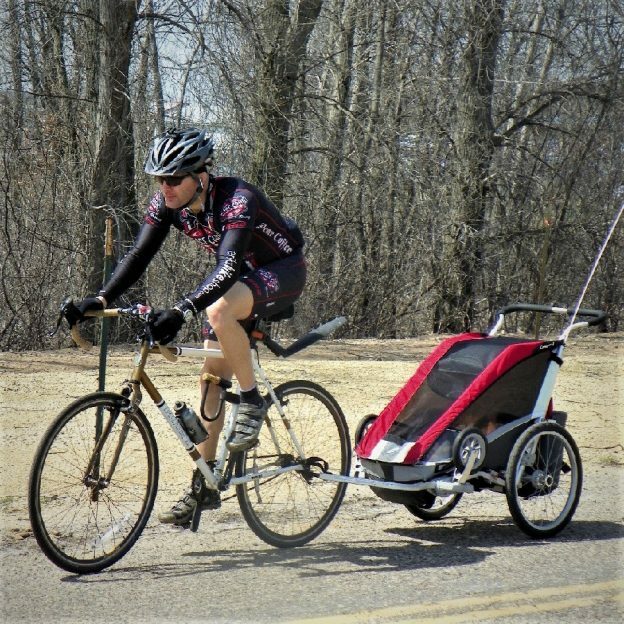 It’s in Eagan, MN, this Saturday and geared for the whole family. 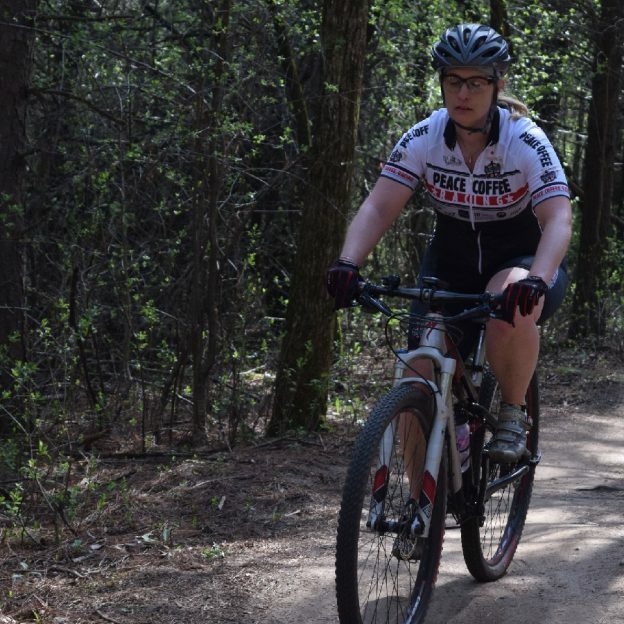 Several other trails are holding Take a Kid Mountain Biking Day, on October. 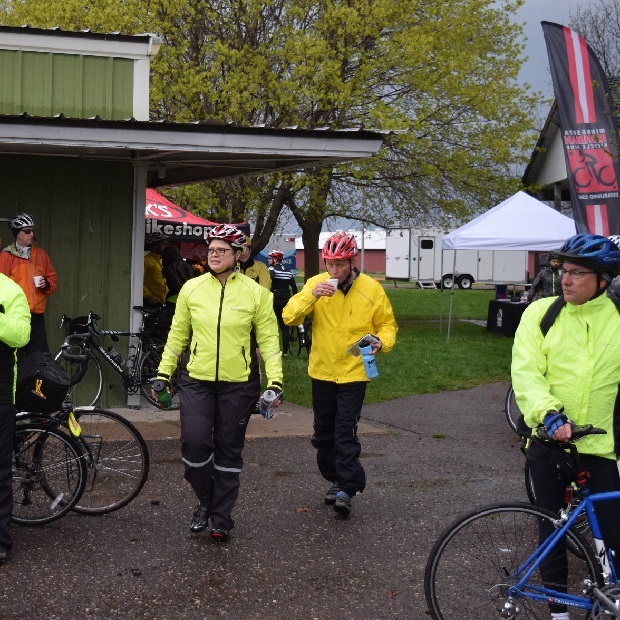 A IMBA (International Mountain Bike Association) event here or a trail near you. 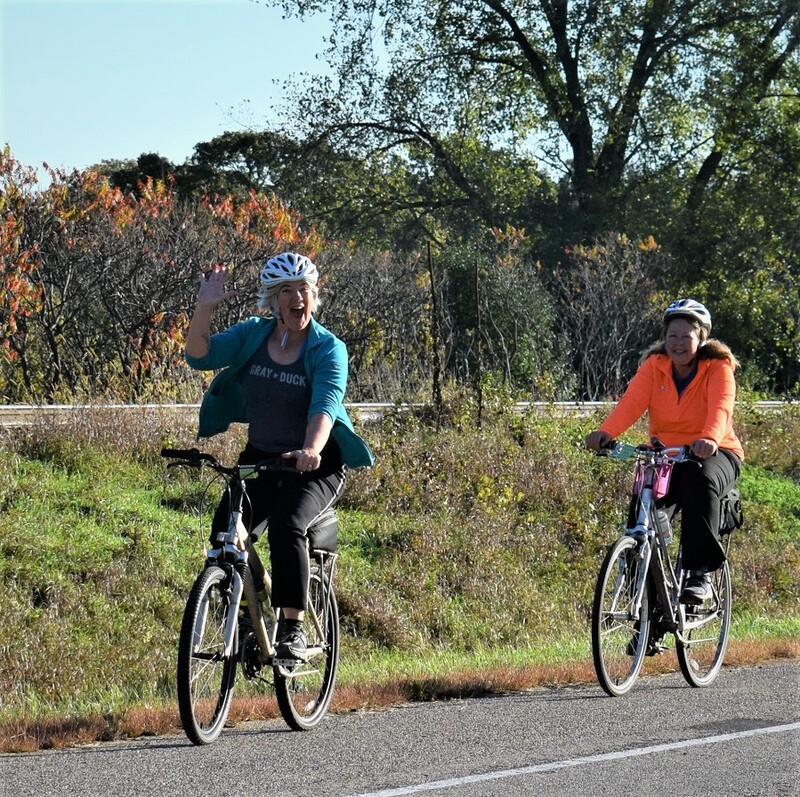 In Iowa, the Full Moon Trestle Bridge Ride take place Saturday, Oct 7th, for evening ride near Des Moines. Also this Saturday, October 7th, is Free Bikes 4 Kids Collection Day, at many of Allina Health Hospitals and Clinics. Do you have a bike to donate, see map for location to bring in your old bike(s). 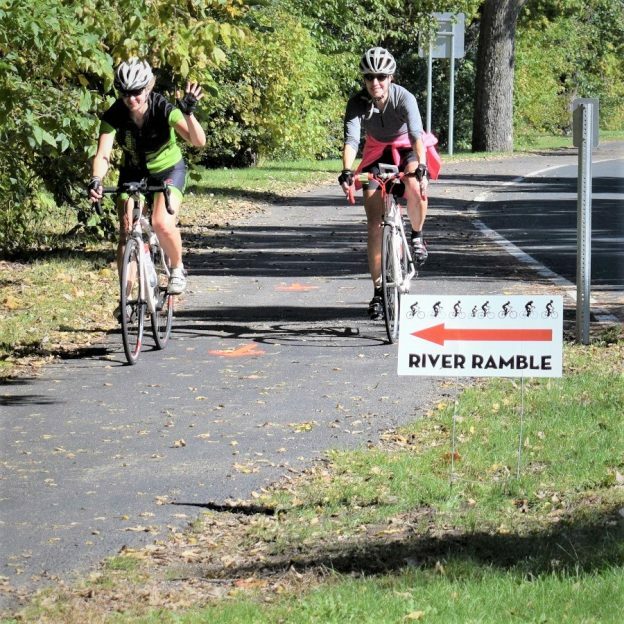 Another fun event this weekend is the Mankato River Ramble. 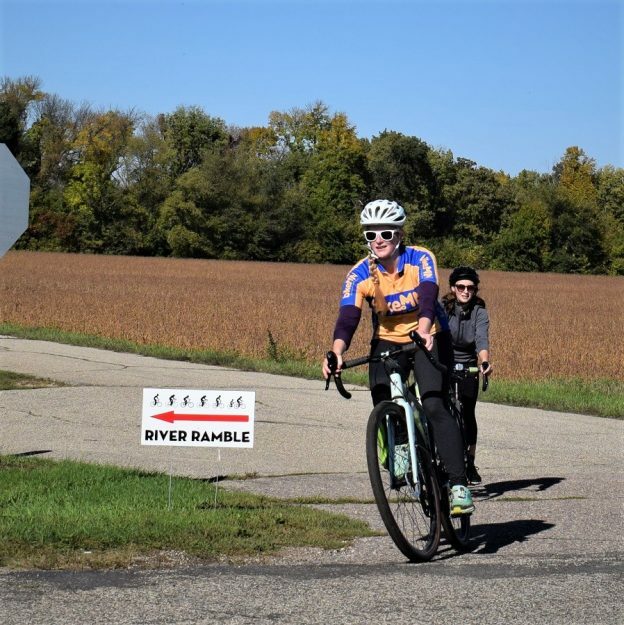 Going into their 7th year, this year’s this fun ride with several mileage and trail options is on Sunday, October 8th. 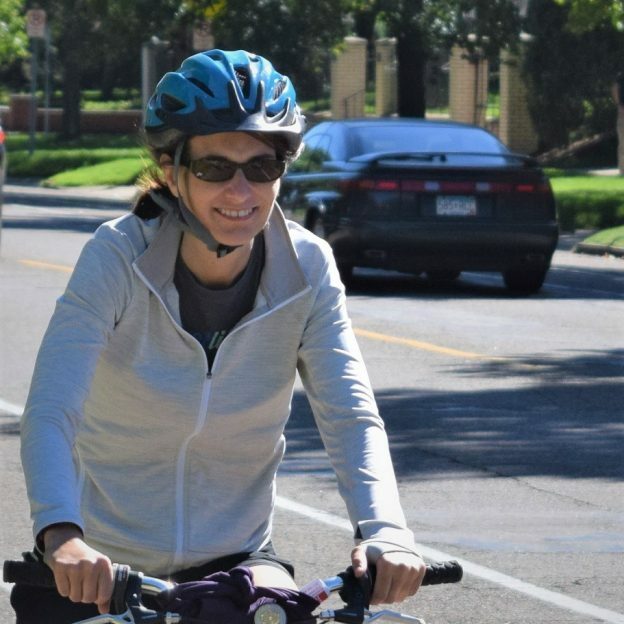 So get into the zone and plan your next bike outing with family and friends at one of HaveFunBiking Destinations. 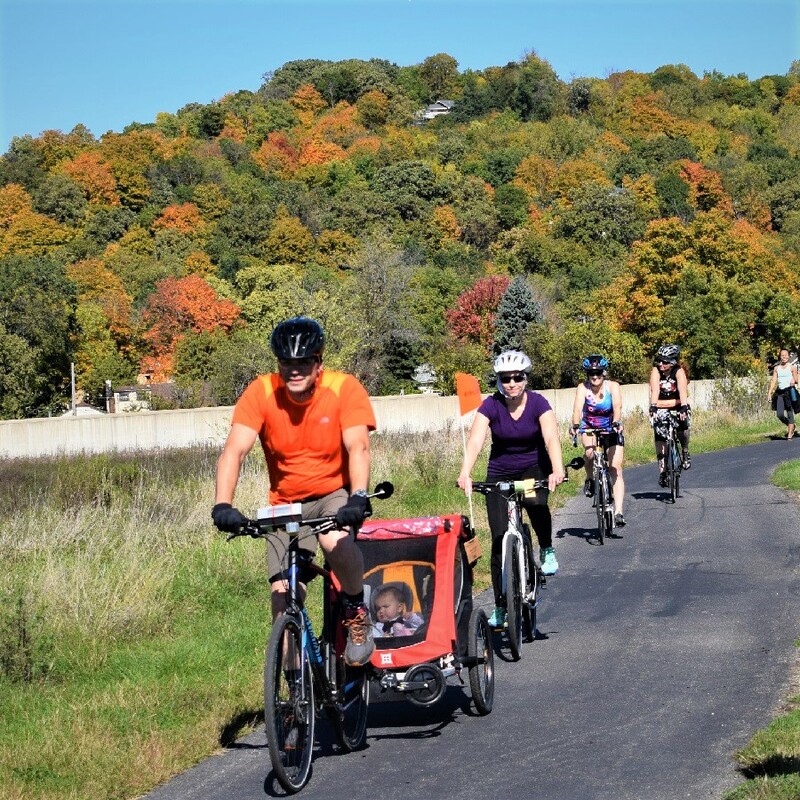 View all the fun ideas and bike destinations in the latest Minnesota Bike/Hike Guide. 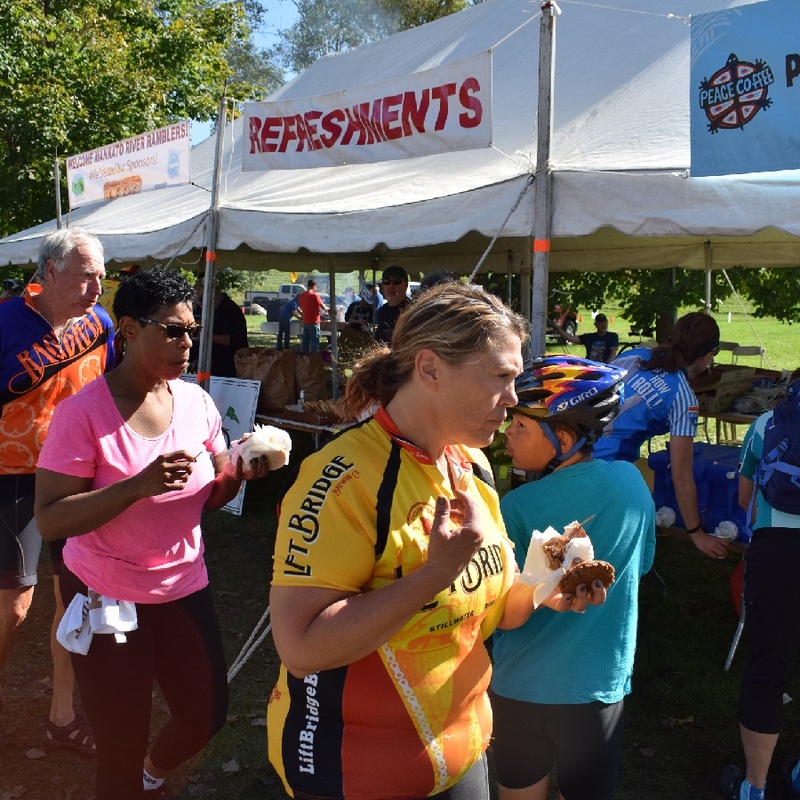 Thanks for viewing our ‘Weekend Events’ pic of the day! 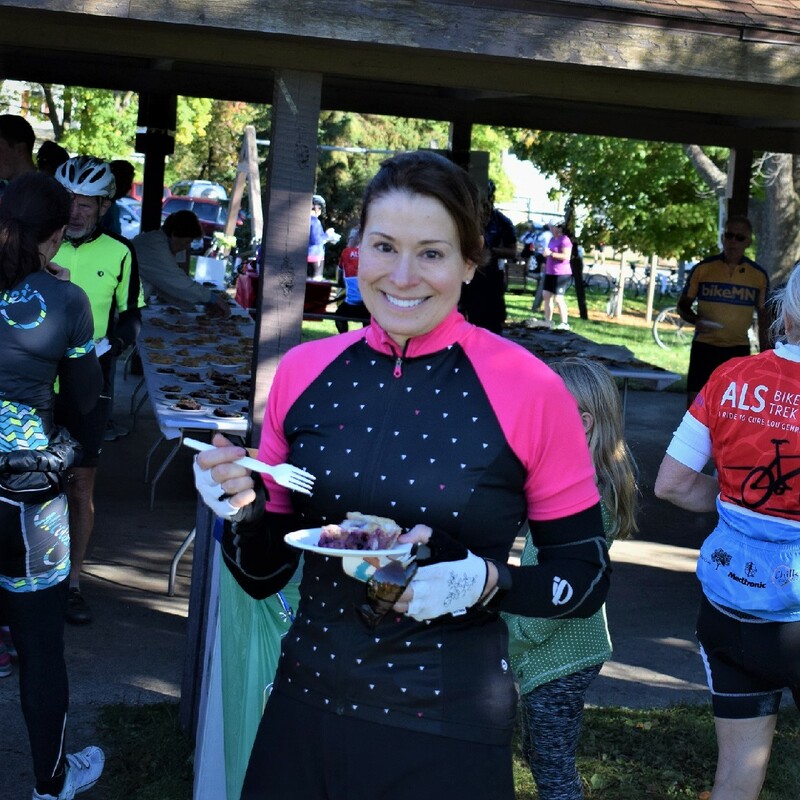 This entry was posted in News and tagged Allina Health, donate a bike, Free bikes 4 kids, Full Moon Trestle Bridge Ride, Mankato River Ramble Ride, Mountain Biking, Peace Coffee, sun events, Take a Kid Mountain Biking, trail riding, Wild Ride Mountain Bike Festival on October 5, 2017 by Russ Lowthian.